Three years ago, Alice's identical twin sister took a gun to school and killed seven innocent kids; now Alice wears the same face as a monster. She's struggling with her identity, and with life in the small Australian town where everyone was touched by the tragedy. Just as Alice thinks things can't get much worse, she encounters her sister on a deserted highway. But all is not what it seems, and Alice soon discovers that she has stepped into a different reality, a dream world, where she's trapped with the nightmares of everyone in the community. Here Alice is forced to confront the true impact of everything that happened the day her twin sister took a gun to school ... and to reveal her own secret to the boy who hates her most. This is the weirdest book I have read all year and I have read some weird books this year (weird books are my favourite books). The majority of this novel occurs in a dreamscape. Literally. Not a metaphor. This dreamscape that Alice finds herself in fills, every night, with the nightmares of the people of her town. These appear in bubbles which, if popped, release nightmarish creatures and dream-versions of real people into the dream realm. I really love the concept (dream realms are my favourite realms) and the setting is vividly expressed. It's creepy and atmospheric and surreal. I think what's really extraordinary about this novel is the way it so smoothly incorporates the bizarre and the realistic. It's both fantasy and contemporary; everything that happens in the dreamscape is inextricably linked to Alice's real life tragedy. I think writing about youth and crime requires a bit of gumption; it's so easy to mishandle or accidentally glorify terrible things in fiction, seeing as so much of the experience of a novel is dependent on the reader. I don't believe that people who write for teenagers have some sort of duty to protect or educate children, and I think any story that is agenda-driven is bound to fail, but glorifying violence is never a good look. 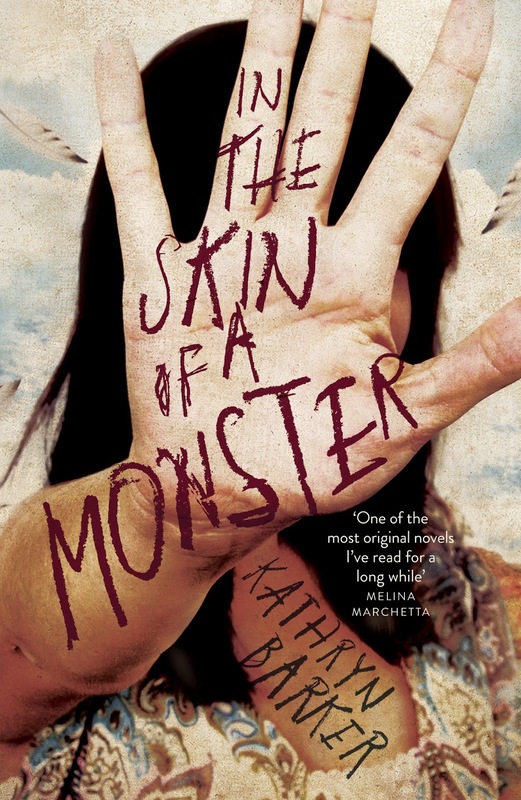 In the Skin of a Monster features a protagonist whose twin committed a mass murder, and is predominantly about how Alice (and other people affected) comes to terms with this; considering the profoundly difficult subject matter, I think the themes of grief and loss and trauma are all explored frankly but still tactfully. I had a few little niggles with plot points that didn't quite ring true to me, but ultimately I was impressed; an awesome concept, really well-executed. It definitely offers something different, and that's a very welcome addition to YA fiction, in my opinion. It's surprising and engaging and original. It's a dark novel, but there's still a hint of hopefulness at the end (I wasn't too depressed after I finished reading). One for older YA readers. Definitely worth a look if you enjoy both fantasy and contemporary YA. In the Skin of a Monster on the publisher's website.